RELIABLE: Dental implants are an excellent option for tooth replacement. With the new advances and knowledge we have about the implant surfaces we can expect a high success rate of tooth implant bonding even in poor quality bone. 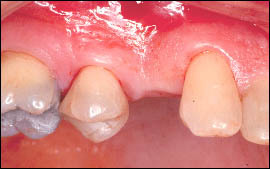 SAVING EXISTING TEETH: If one lost a tooth before the introduction of implants the only way to have fixed replacement teeth was to cut down the adjacent teeth into small stumps and bridge the gap. These bridges functioned well. However, they are harder to keep clean and unfortunately we often had to reduce tooth structure on perfectly sound teeth to construct the bridge. With a dental implant adjacent teeth are left untouched and they are easier to keep clean. CONFIDENCE: Imagine not having to deal with loose and floppy dentures. Imagine not having to deal with paste and glue to stabilize you dentures. 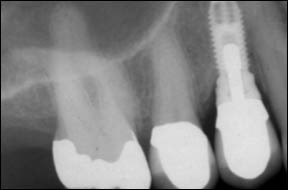 All this is possible with dental implants. ESTHETICS: Dental implants look and feel like your natural teeth. 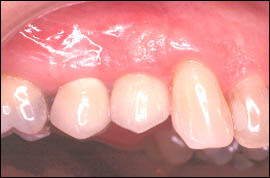 When a tooth is lost the jawbone in the area shrinks very rapidly over the first few months. By placing a dental implant the bone and gum shrinkage that occurs with bridges and dentures can be prevented.